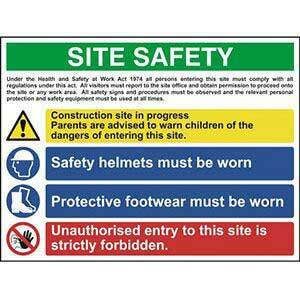 Site safety sign with multiple purposes for use on construction sites. 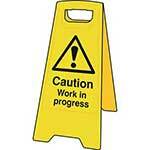 On modern construction sites it isn't uncommon to find numerous potential dangers to staff and site visitors. 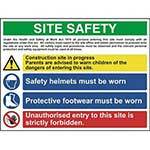 As a result, it has now become harder and harder for site managers to effectively convey the relevant safety messages and methods through the use of safety signage. 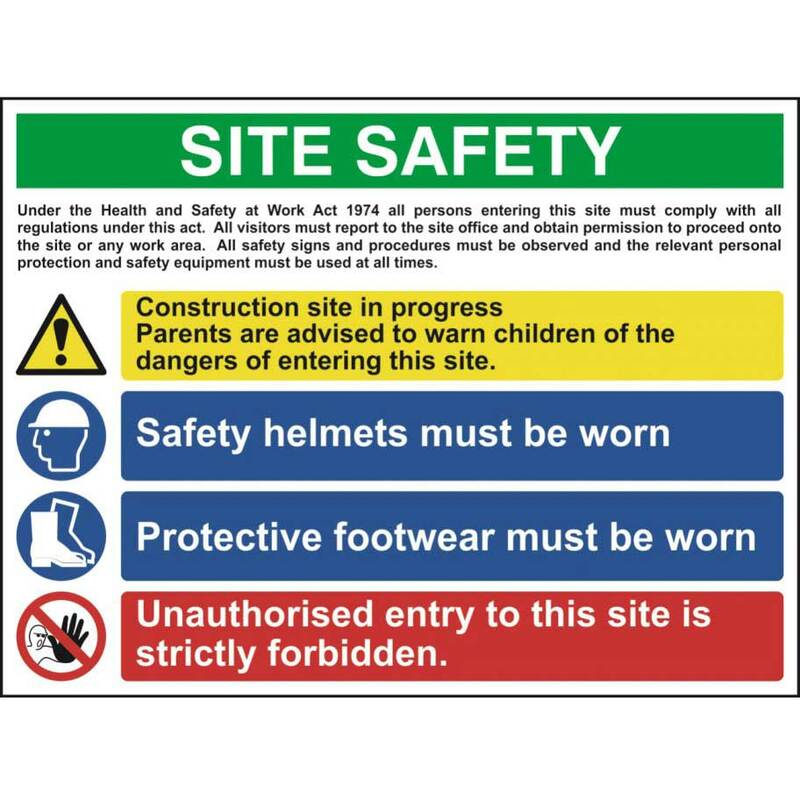 This sign has been specifically designed to provide information for a number of procedures all on one clearly visible sign.